Hattusha is the old capital of the Hittites, a people that lived during the period of the Egyptian pharaohs. Its heydays were from 1375 to 1200 BC. 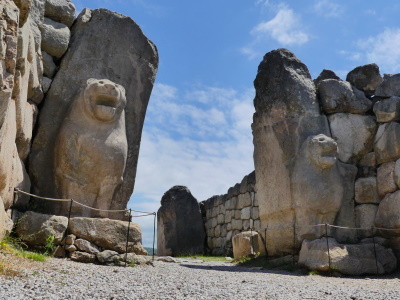 The WHC named as reasons for the inscription: its urban organization, the types of construction that have been preserved (temples, royal residences, fortifications), the rich ornamentation of the Lions Gate and the Royal Gate, and the ensemble of rock art of Yazilikaya. The Hittites built their capital on a site that could be well defended. It was surrounded by a wall, to fortify it even more. 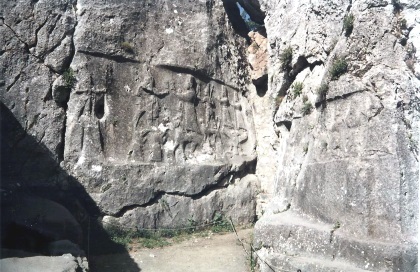 The wall was decorated with two gates, the Kings Gate in the southeast and the Lions Gate in the southwest. Hattusha only is an interesting place to visit when you know its history. The remains are really old, so not much is left. Also, the heat on this plain can be burning. For more interesting examples of Hittite culture, visit the Anatolian Museum in Ankara. 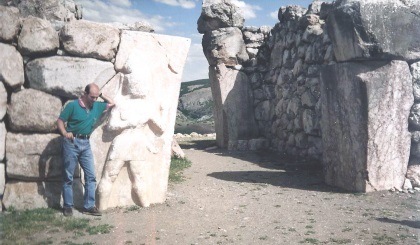 From "Hattusha" to "Hattusha: the Hittite Capital"